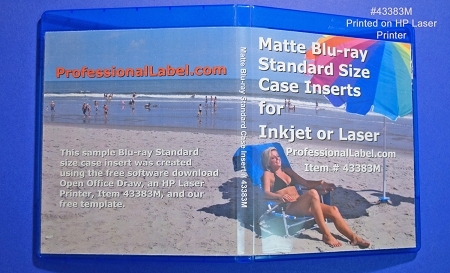 Blank, printable Blu-ray case inserts for inkjet or laser printers. 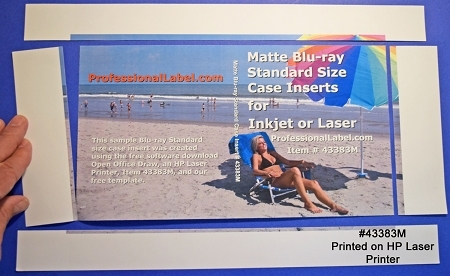 Perforated into 8 1/2" x 14" Legal size matte stock, so they are easy to load into your printer (no adjusting of the side to side measurment needed when switching from letter size sheets). 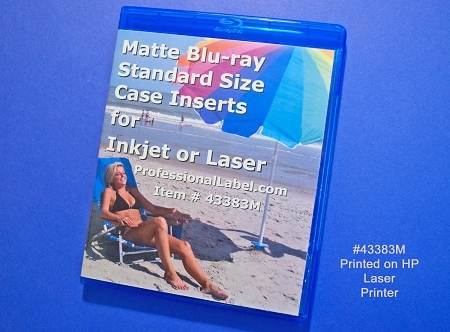 These inserts are for standard size Blu-ray cases and have micro "Clean Edge" perforations for easy tear down to fit the outside sleeve window of a Blu-ray case (10.57" x 5.87"). 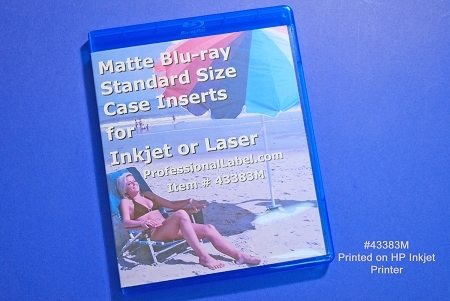 Great for full bleed Blu-Ray graphic case cover designs where the image goes right up to and past the edge of the insert, so there is no white margin after you print them. These are also known as wraps, covers, or entrapments. 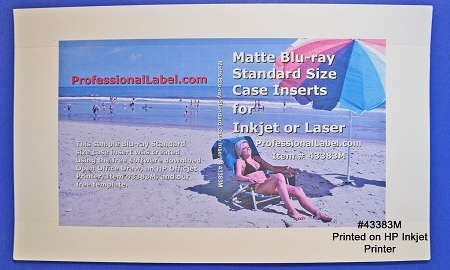 These are for use on INKJET or LASER printers. They are standard matte finish 32lb stock. Copyright 2009 - 2013 Professional Label.